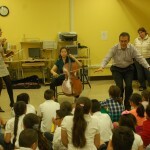 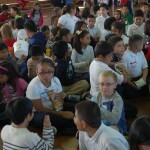 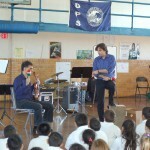 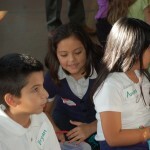 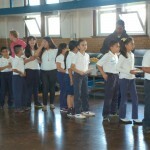 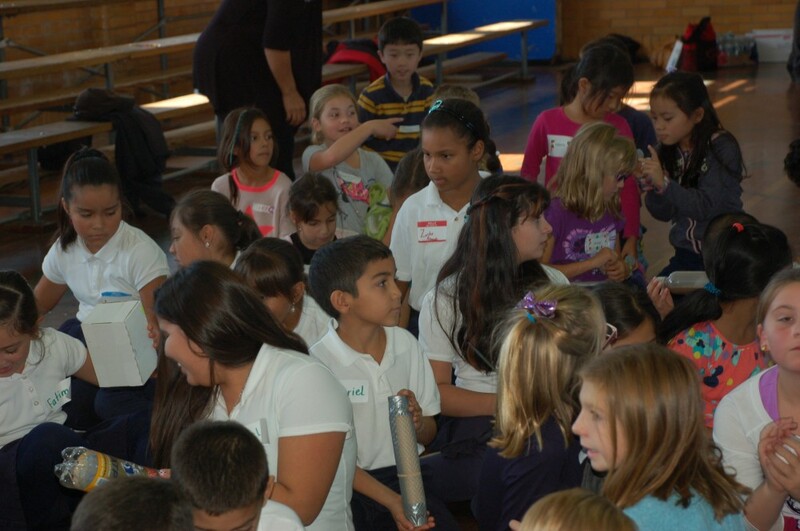 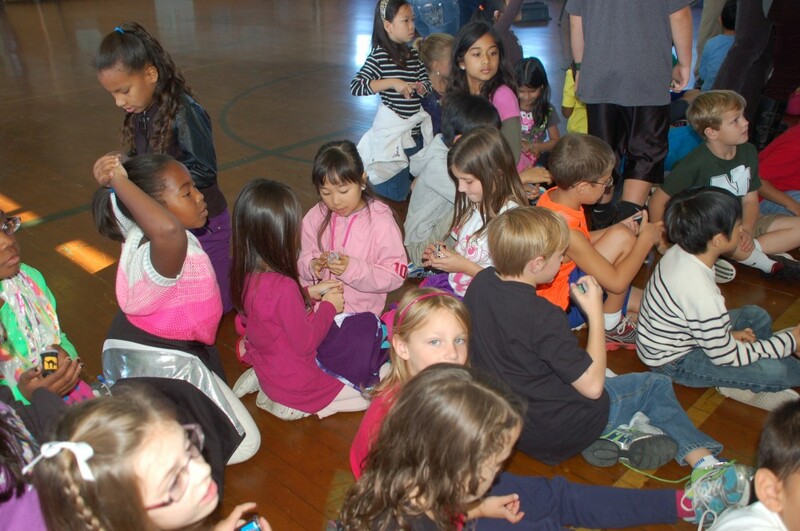 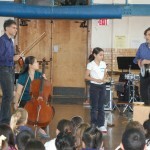 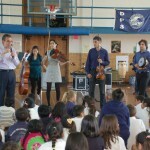 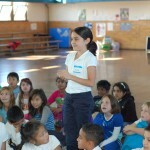 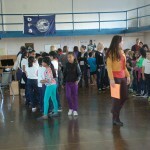 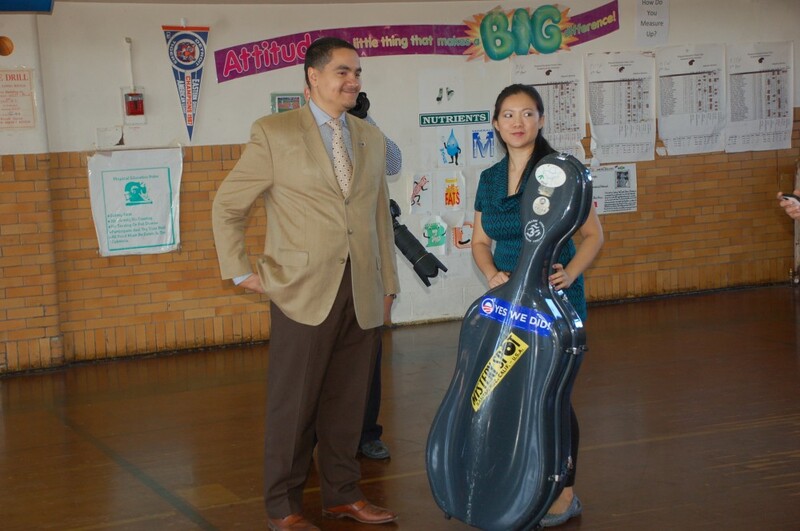 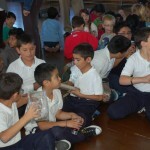 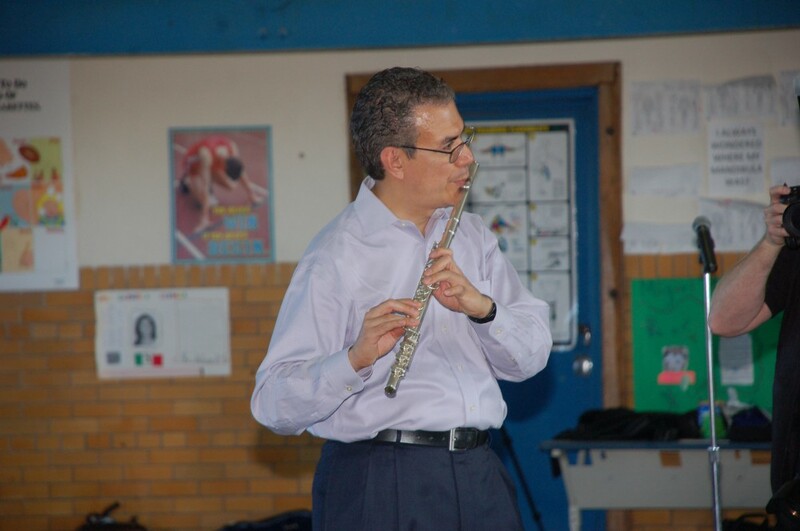 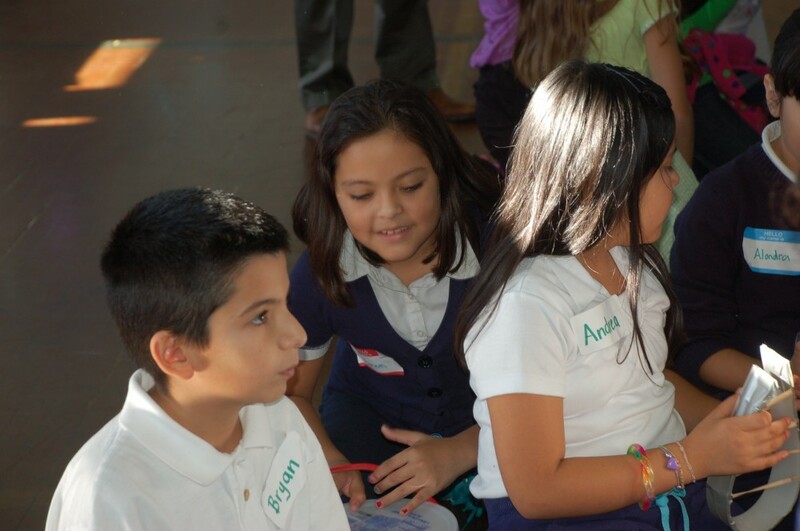 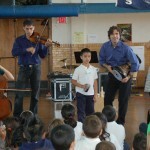 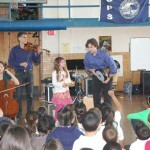 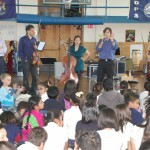 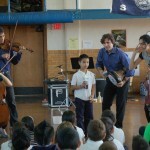 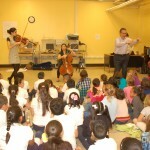 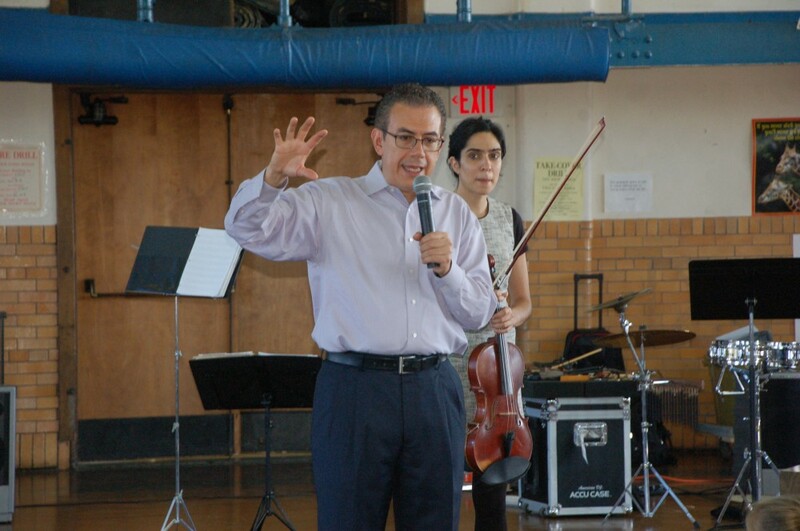 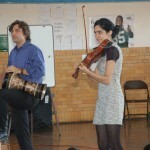 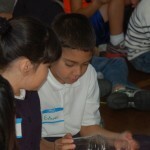 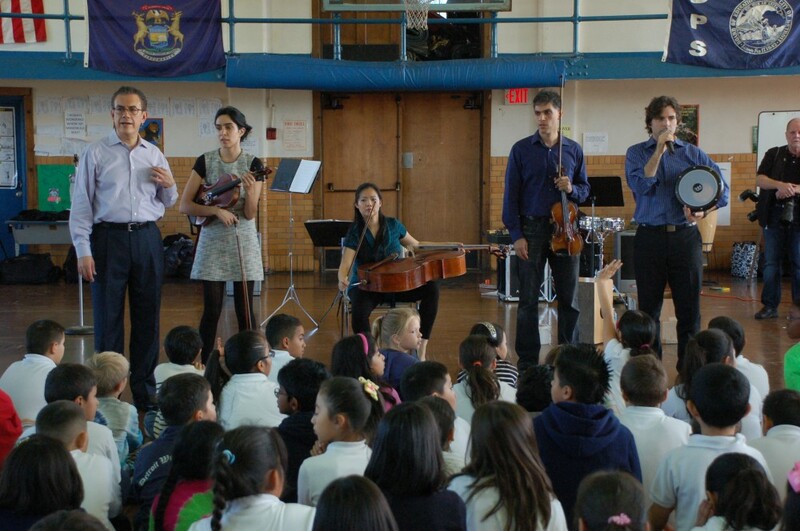 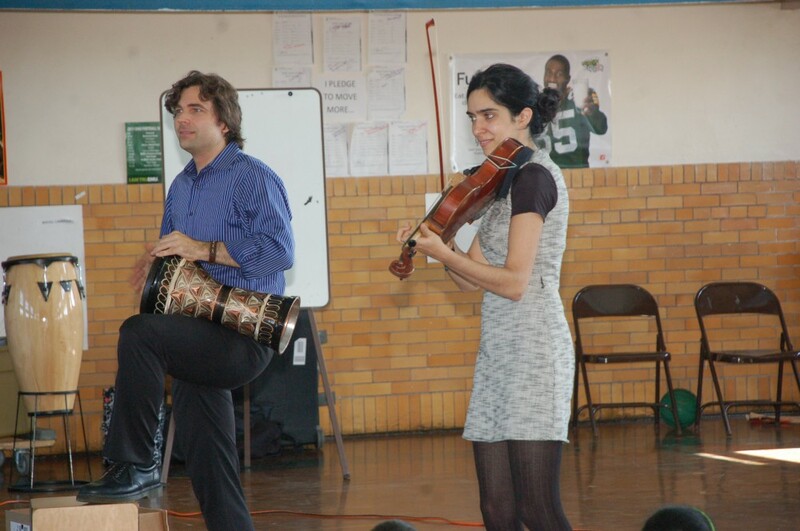 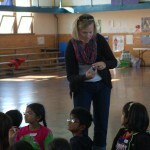 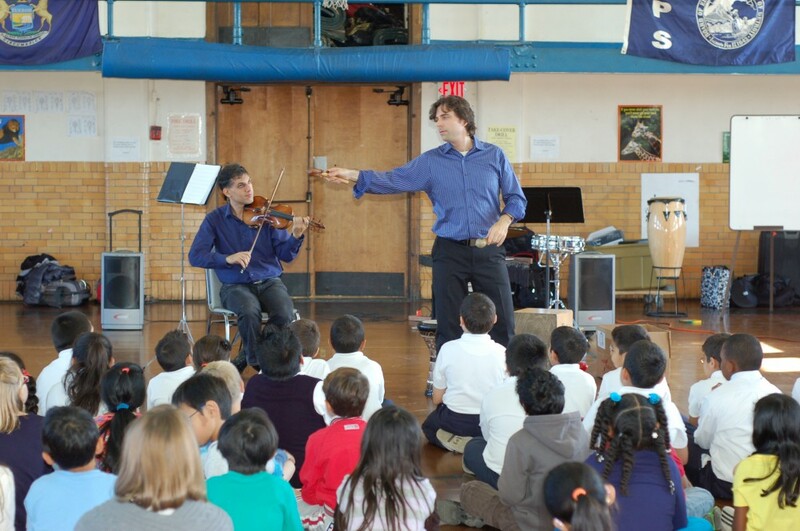 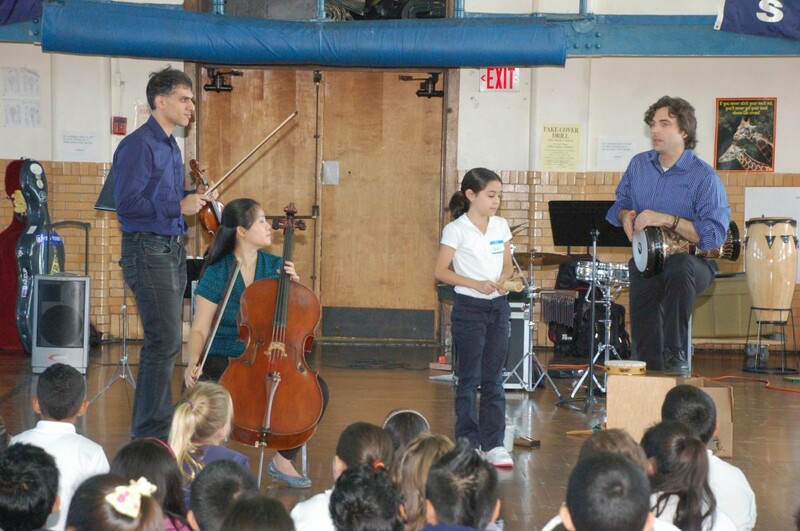 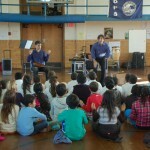 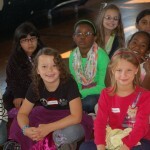 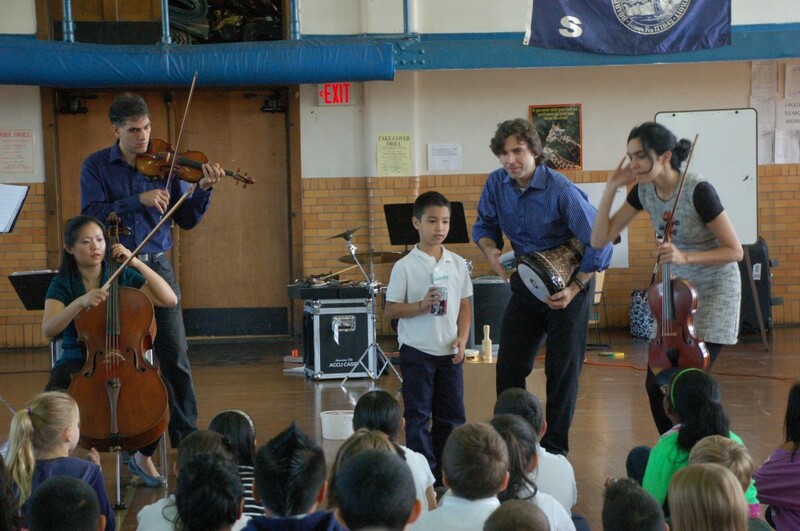 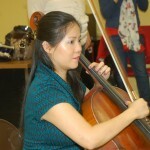 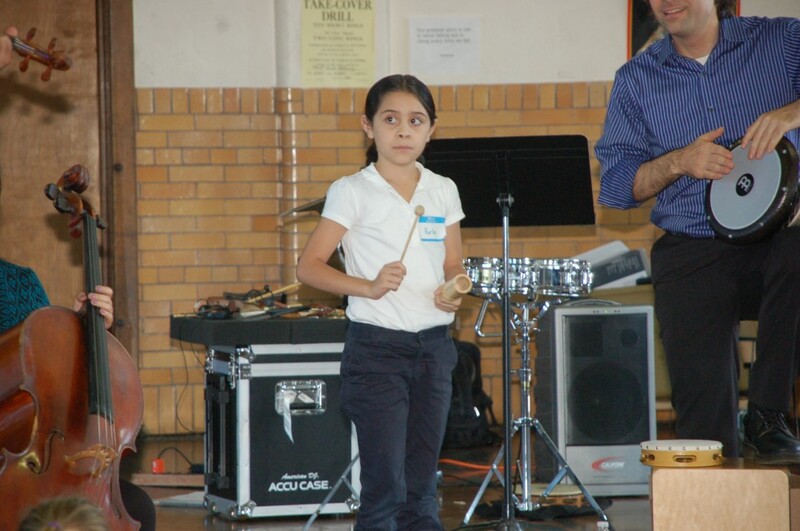 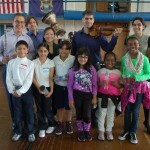 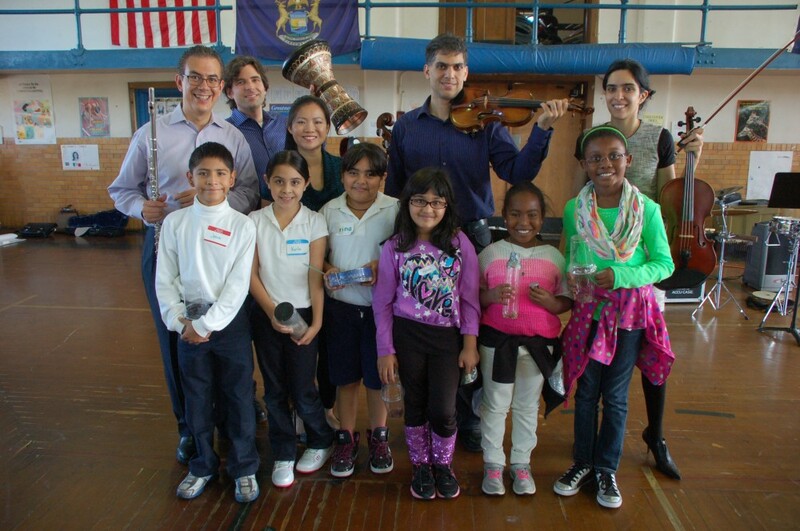 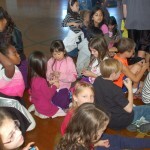 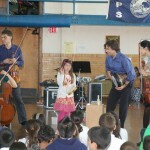 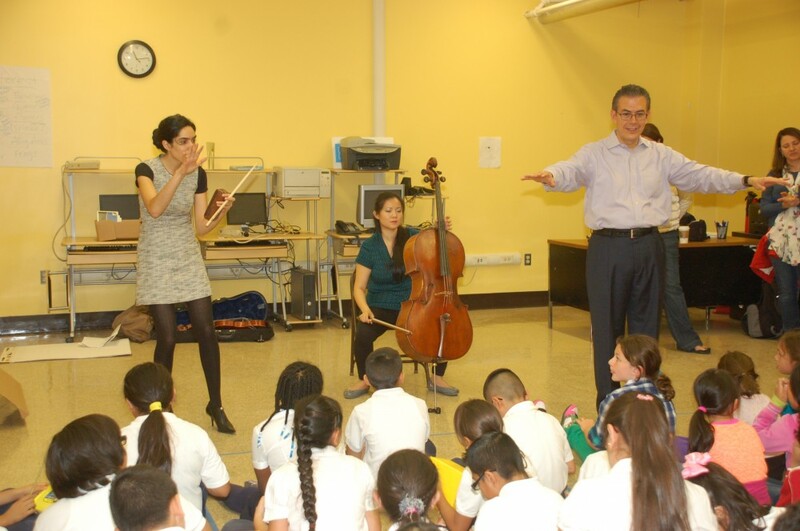 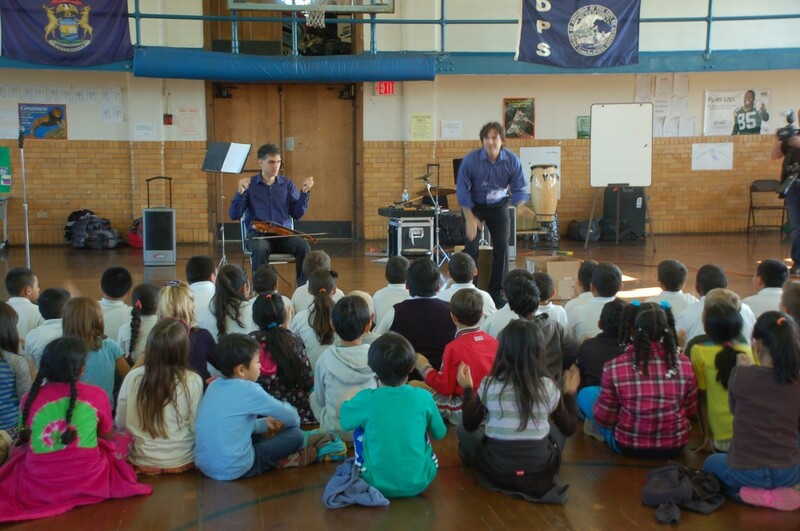 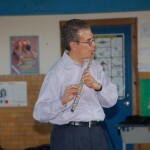 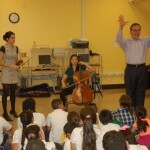 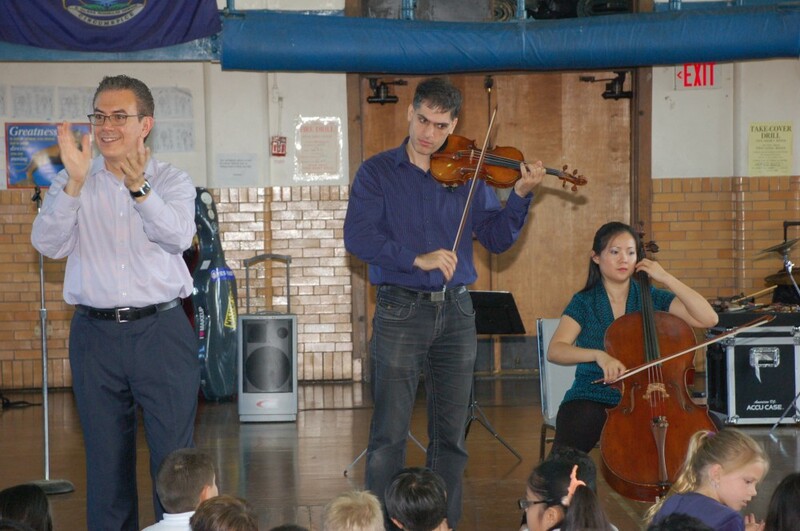 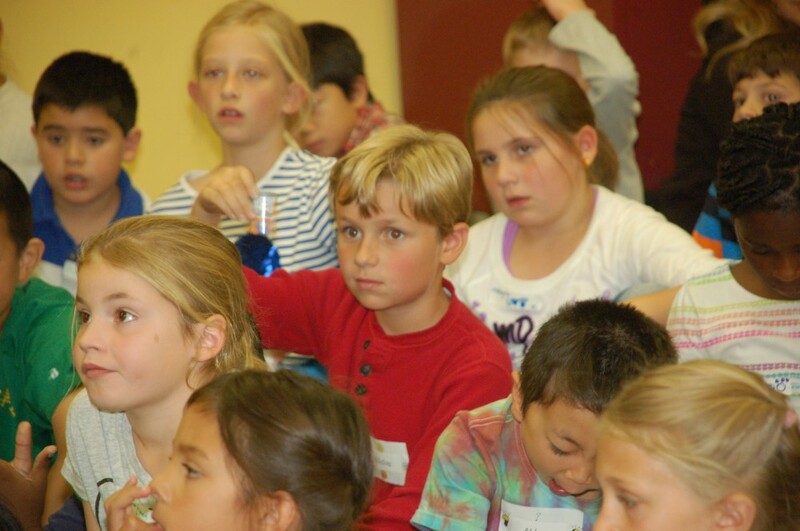 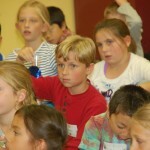 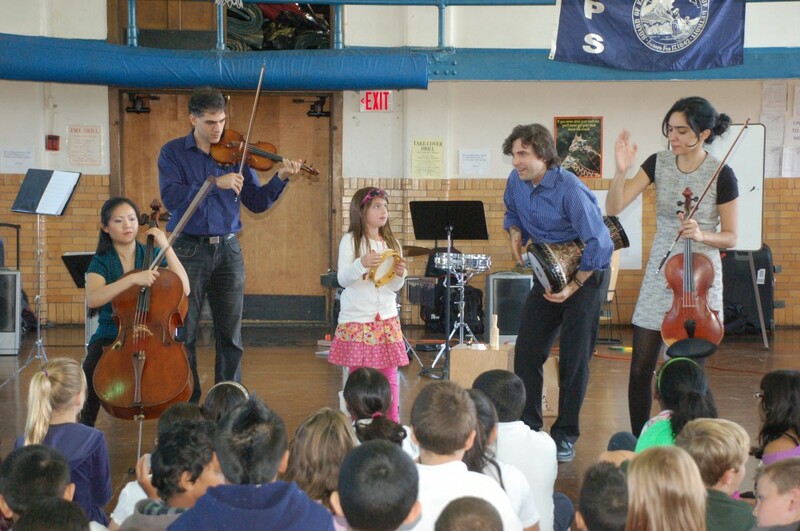 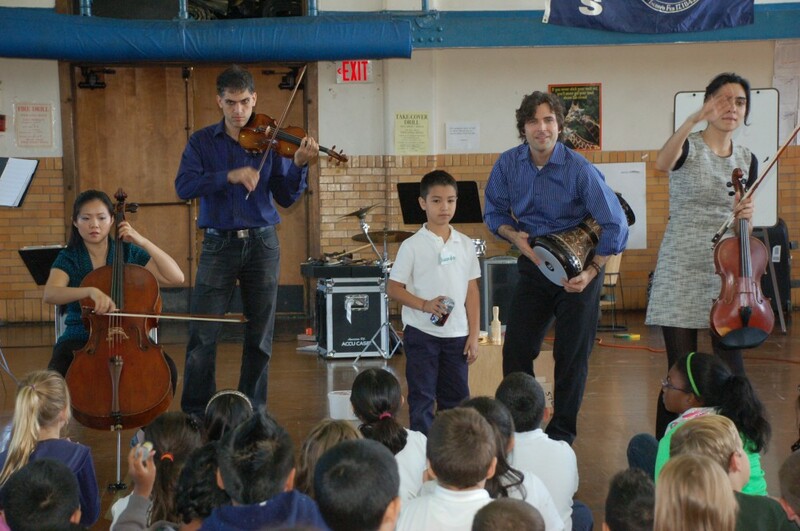 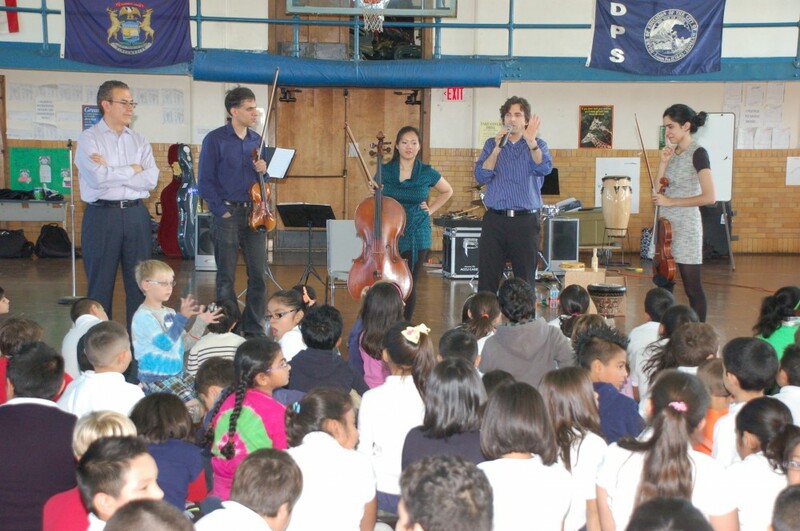 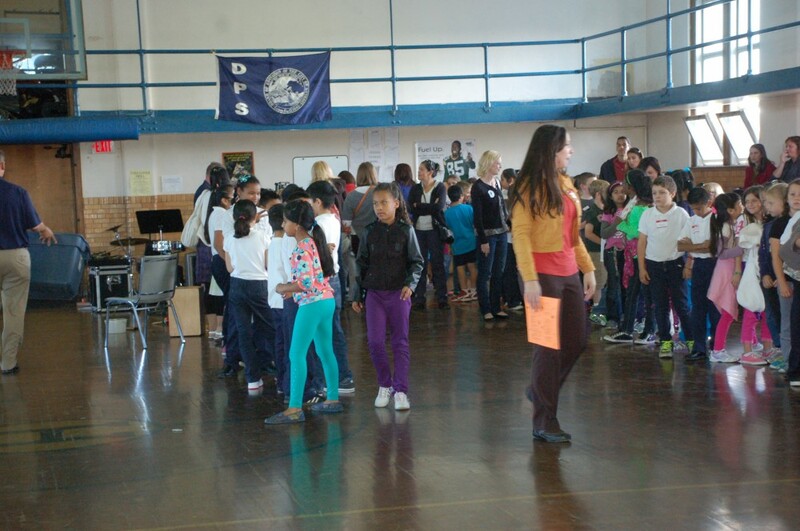 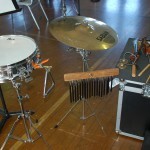 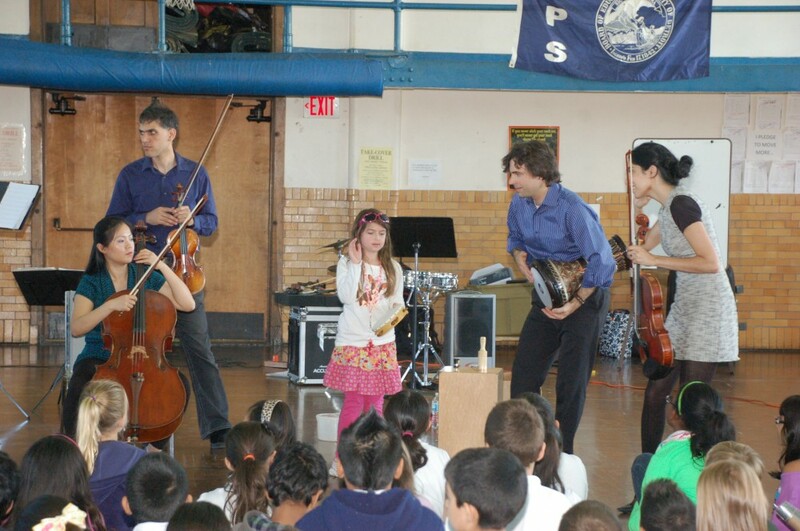 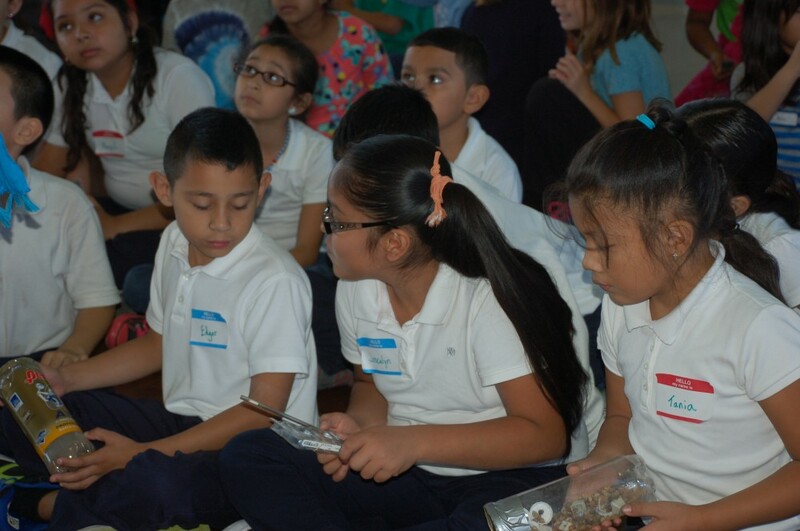 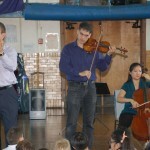 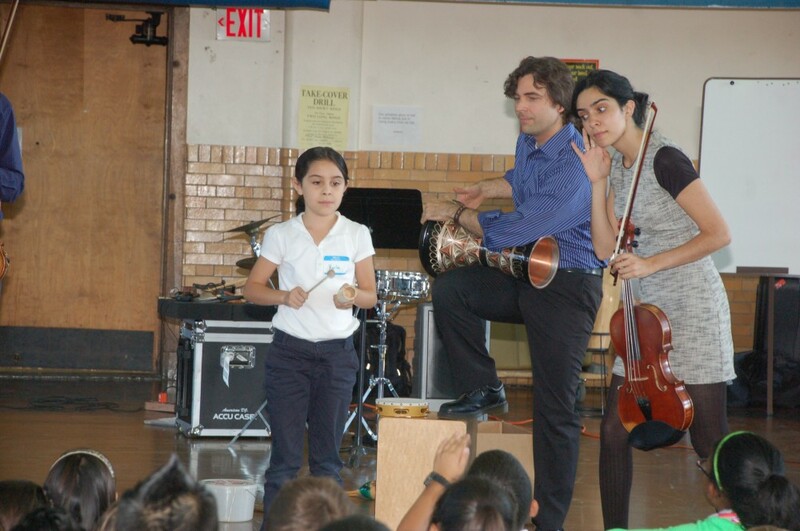 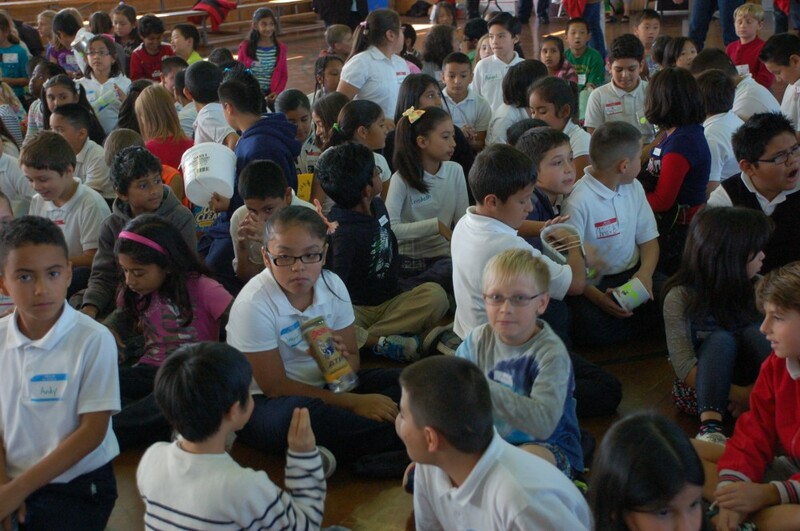 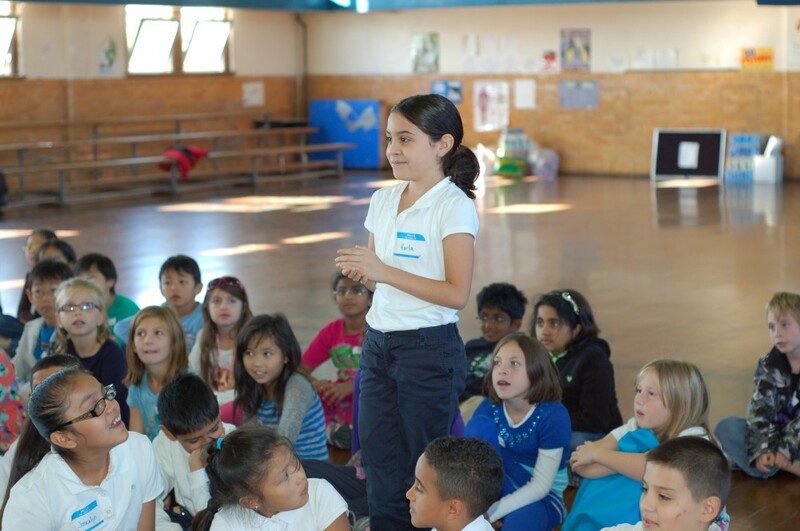 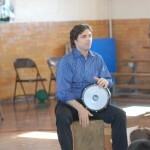 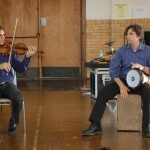 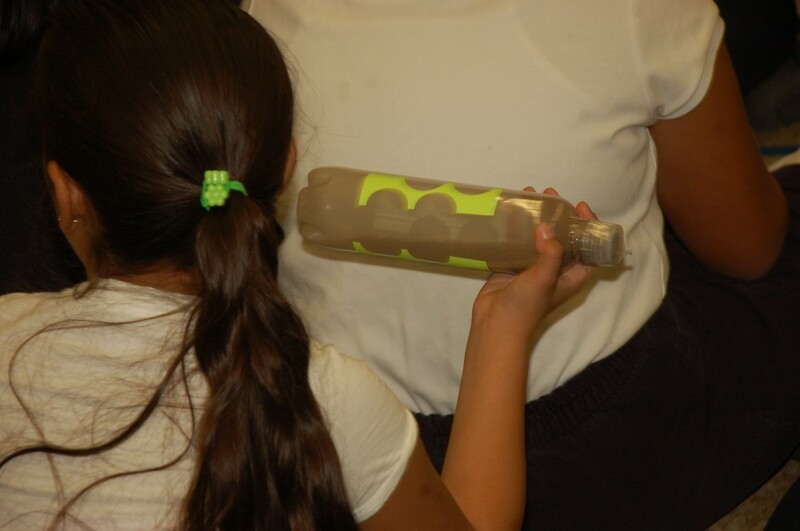 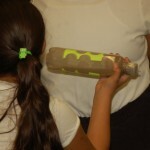 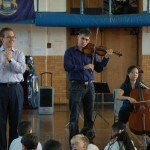 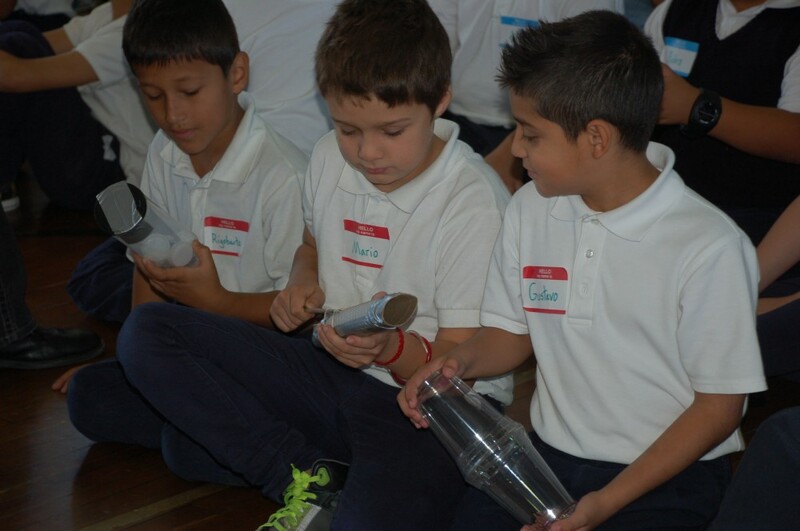 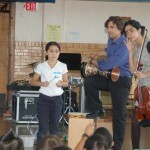 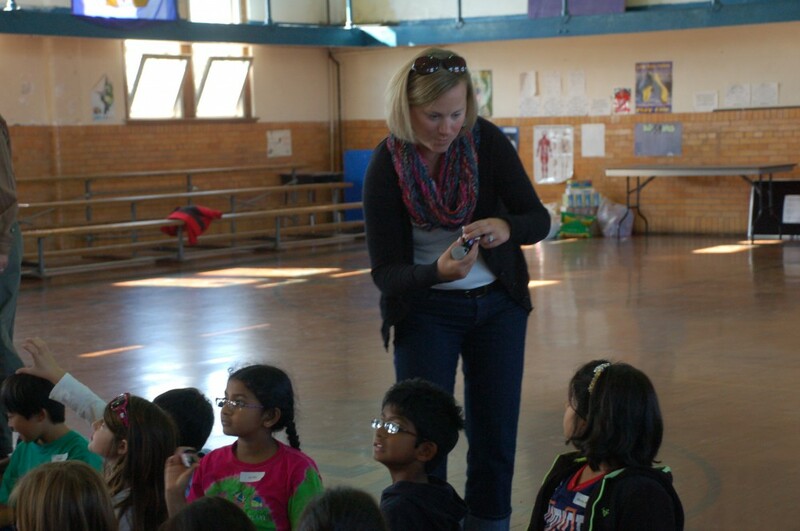 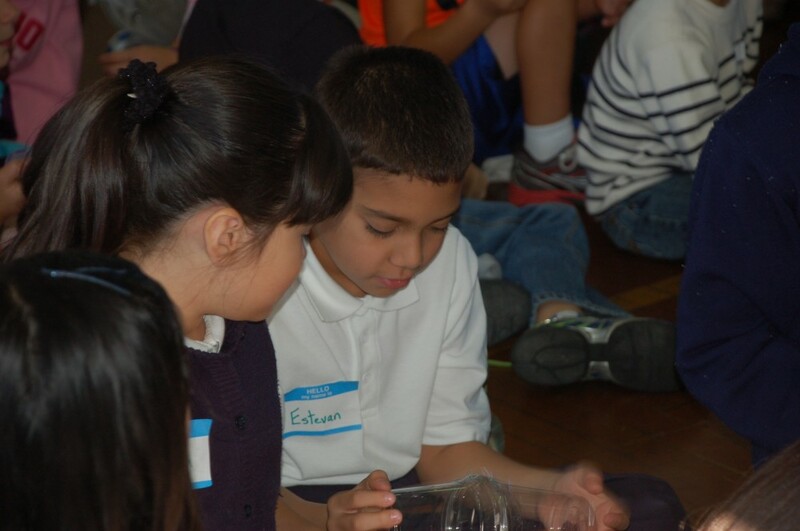 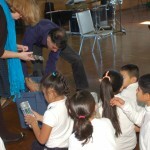 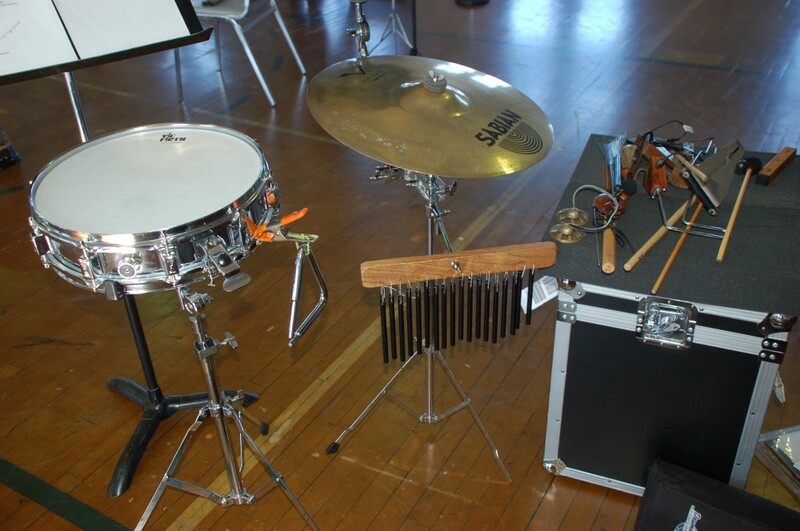 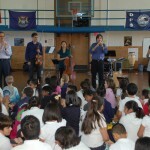 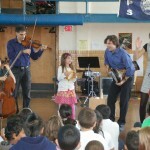 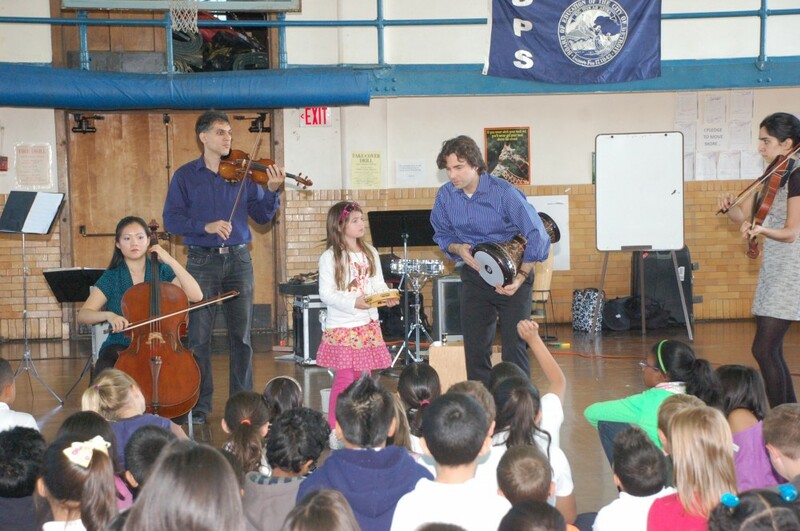 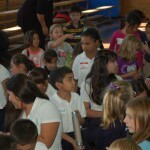 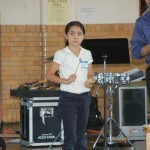 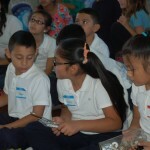 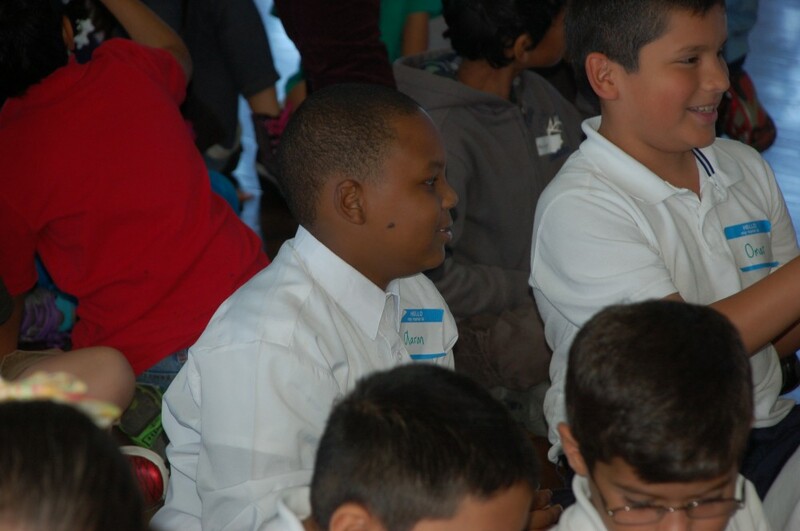 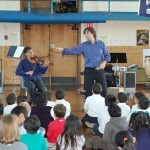 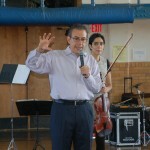 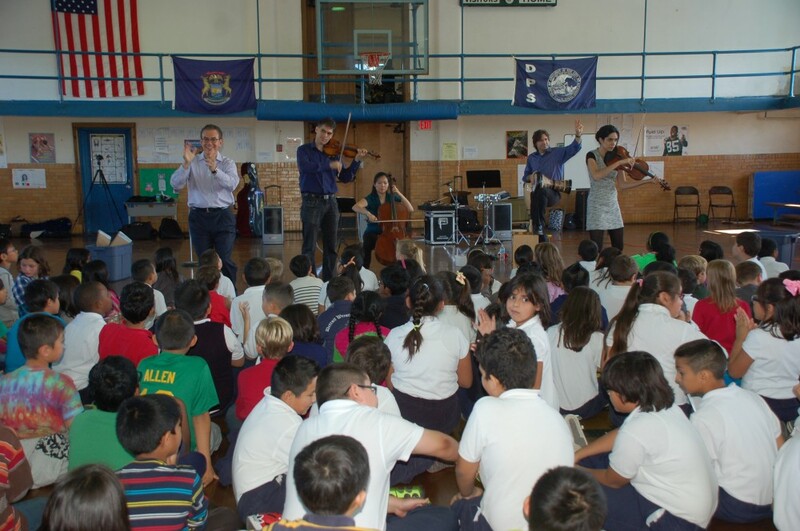 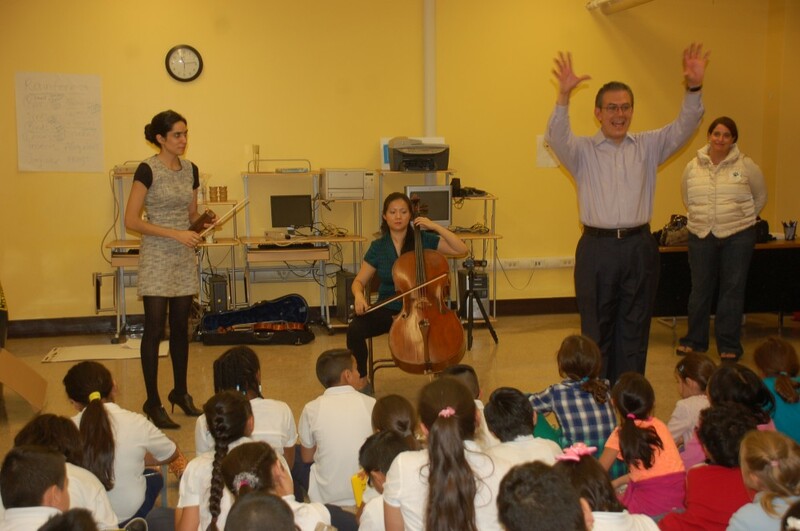 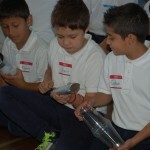 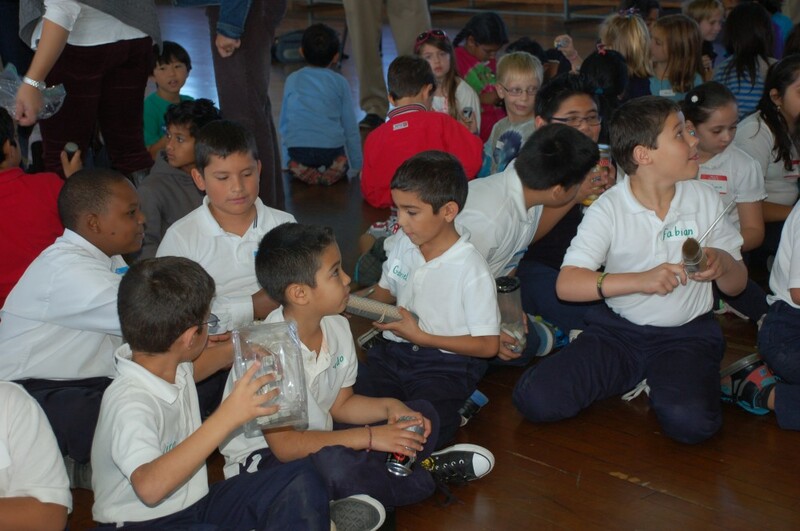 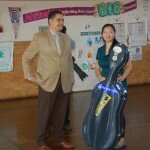 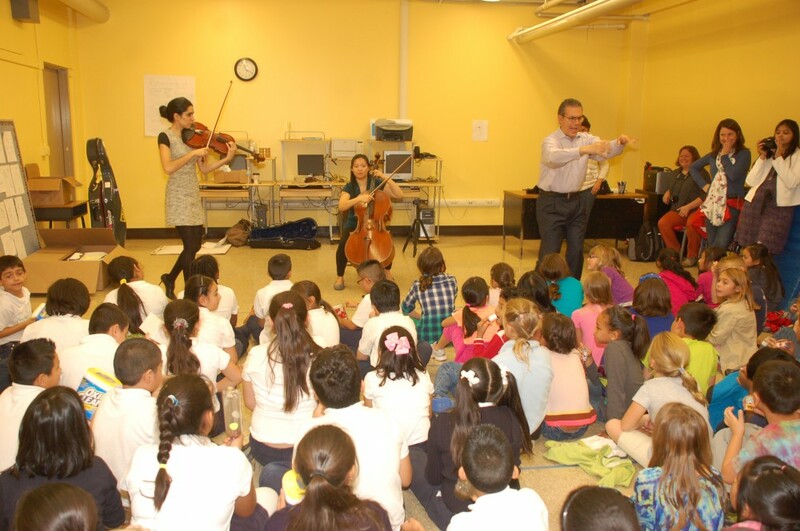 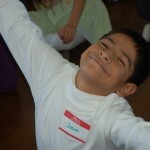 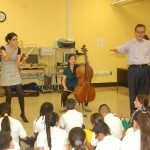 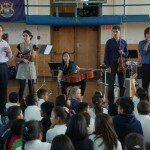 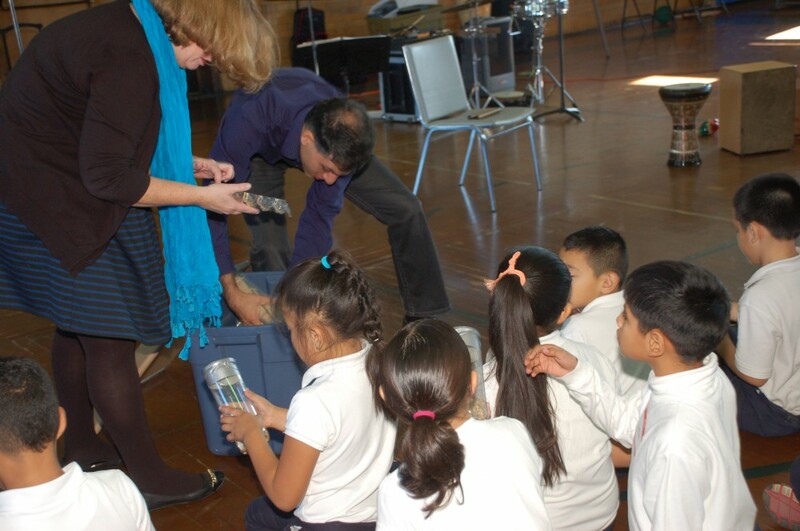 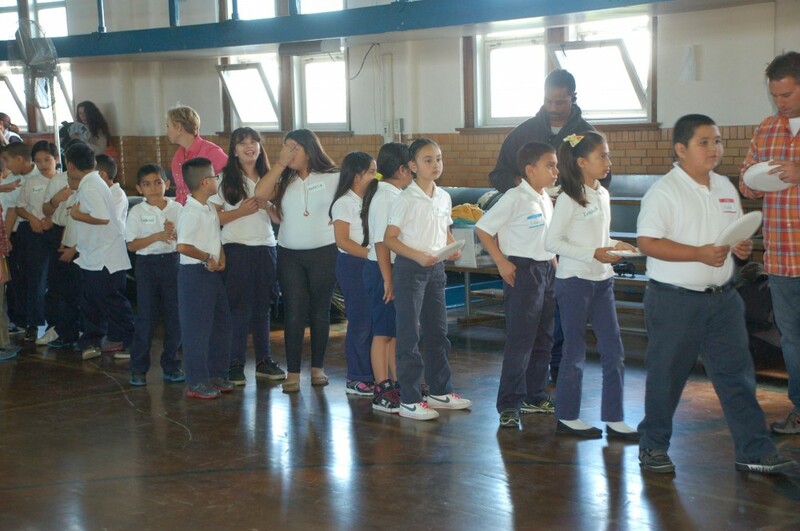 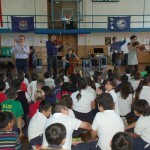 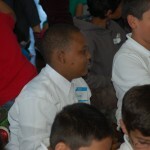 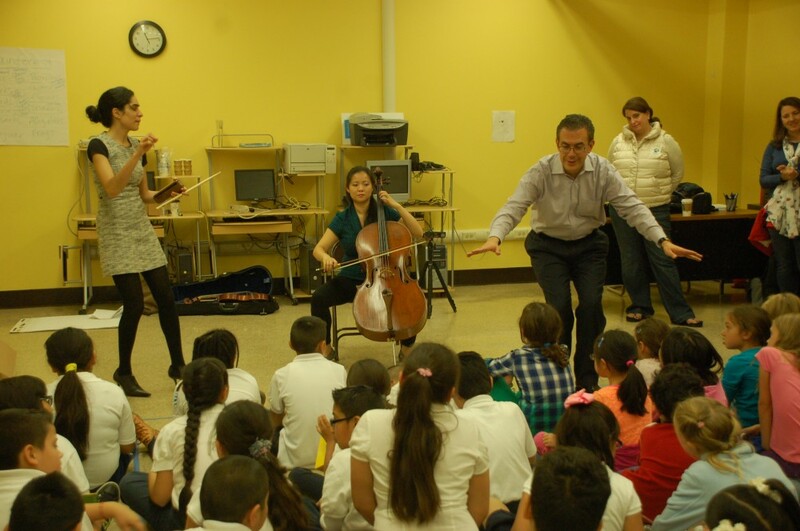 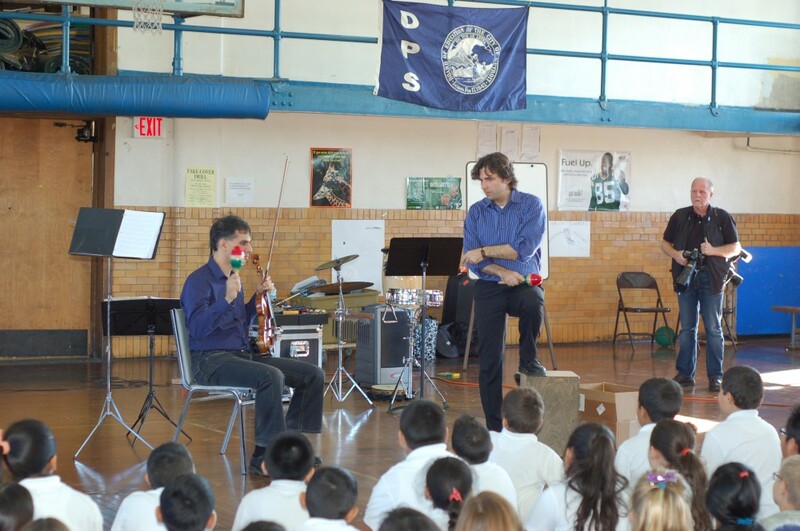 On Monday, October 14, more than 200 3rd and 4th graders from Academy of the Americas in Detroit and Novi Woods Elementary School in Novi gathered for a “Global Jam” led by the unique New York-based ensemble Classical Jam. 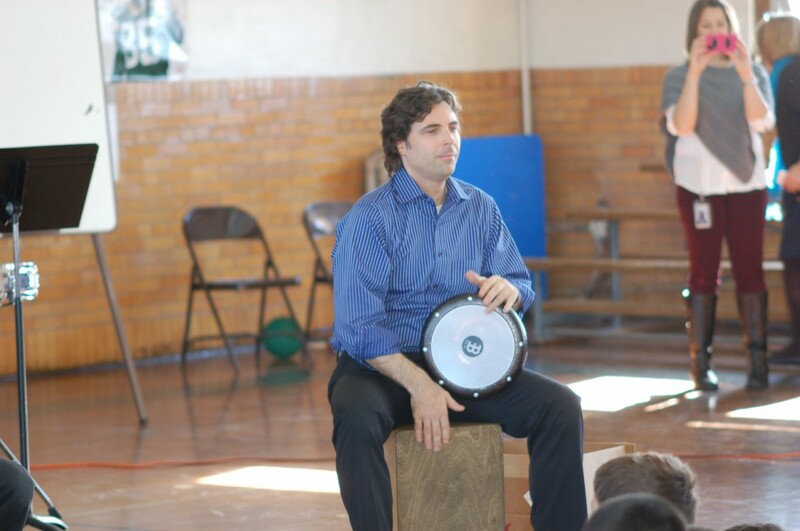 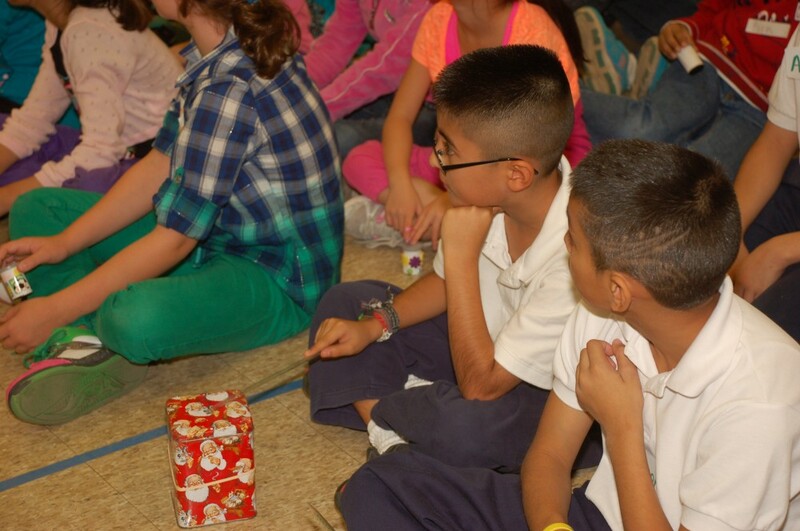 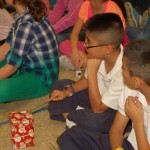 Students got acquainted as they learned how to listen and respond to each other using basics of musical rhythm and melody from diverse world cultures to create a jam session. 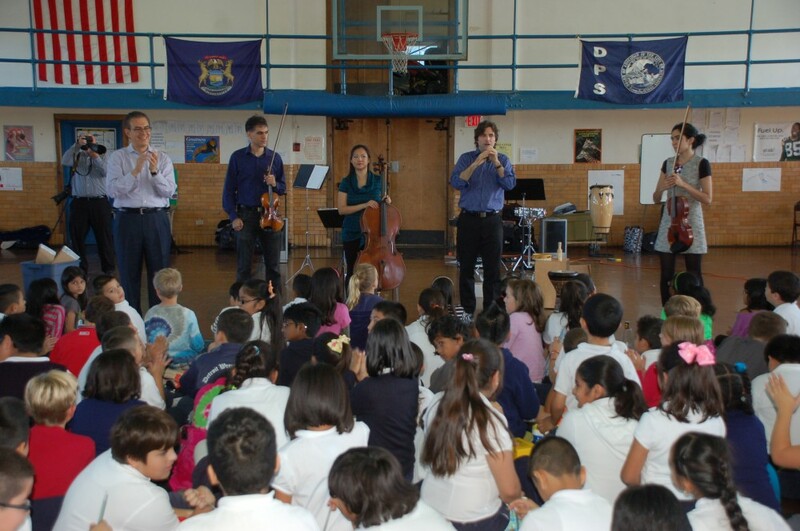 The jam session was part of a day-long program presented by the Chamber Music Society of Detroit in partnership with Bridgepointe. 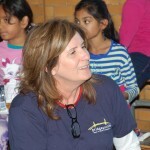 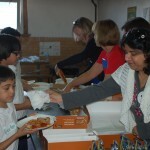 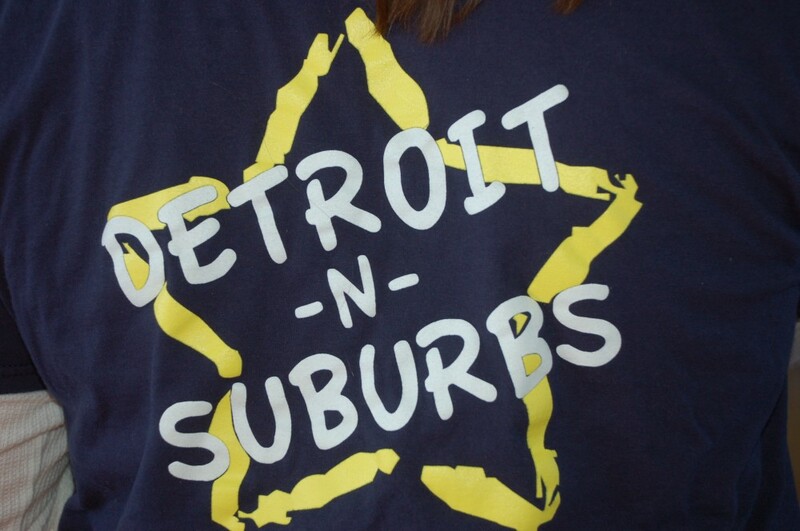 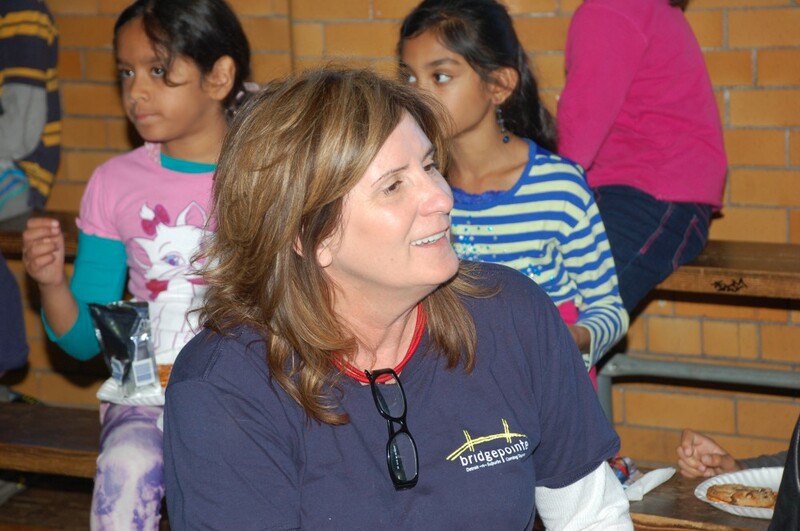 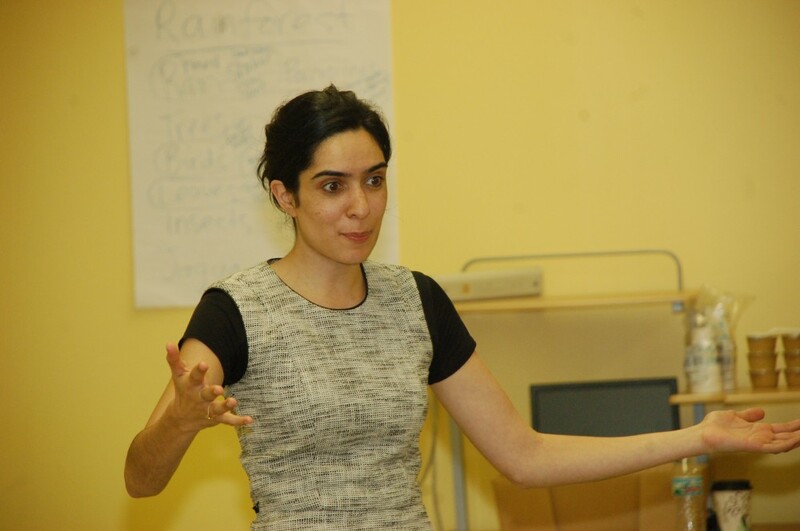 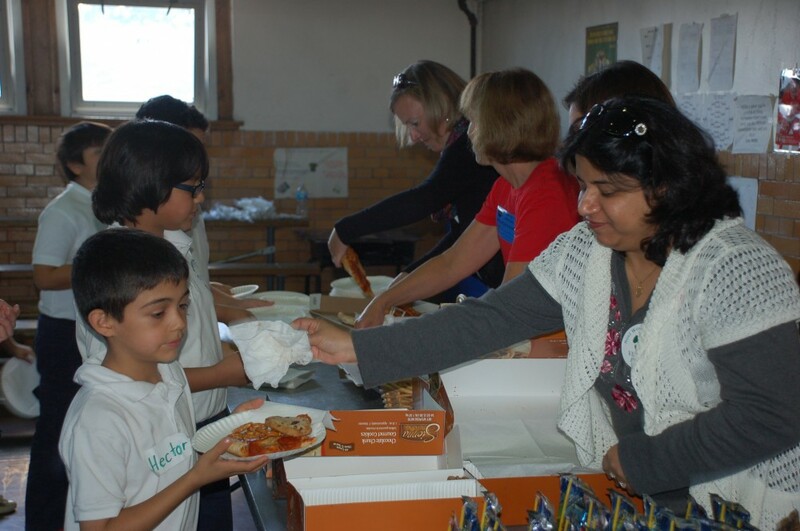 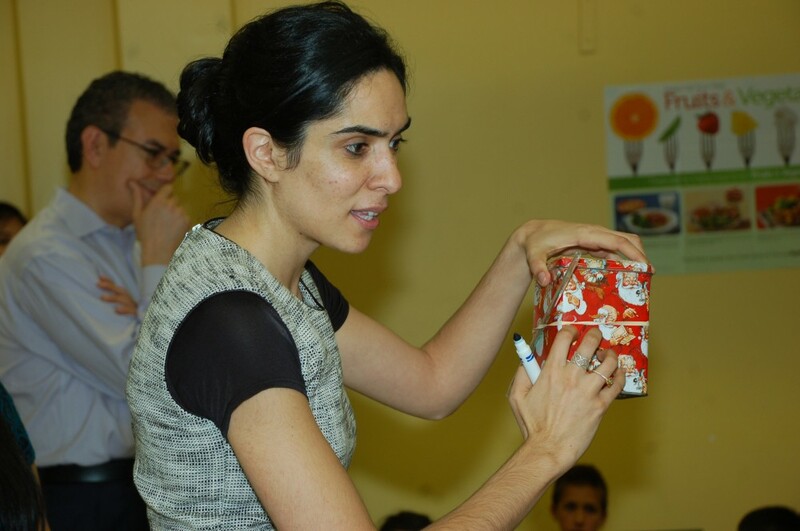 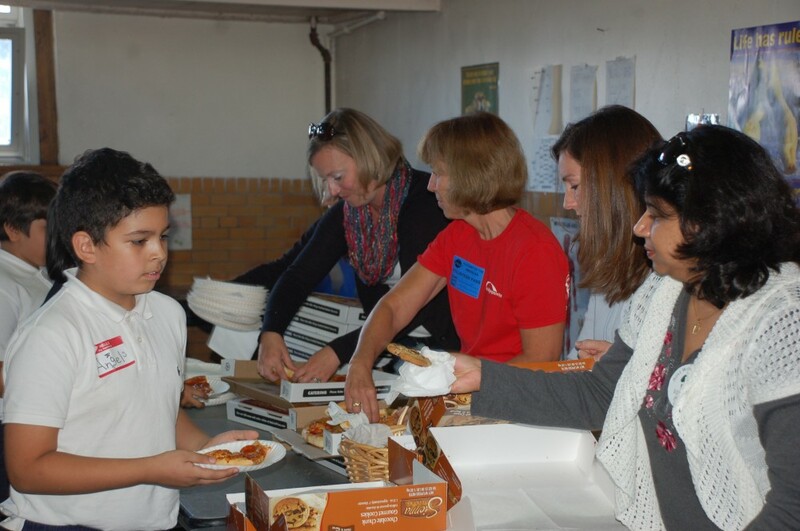 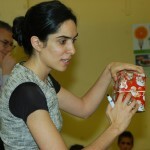 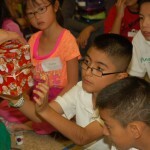 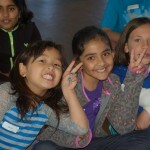 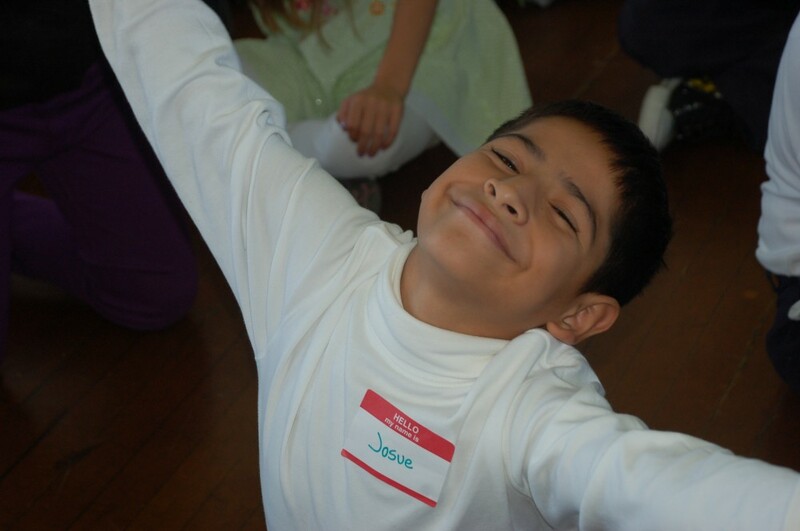 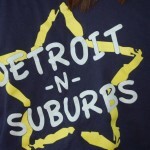 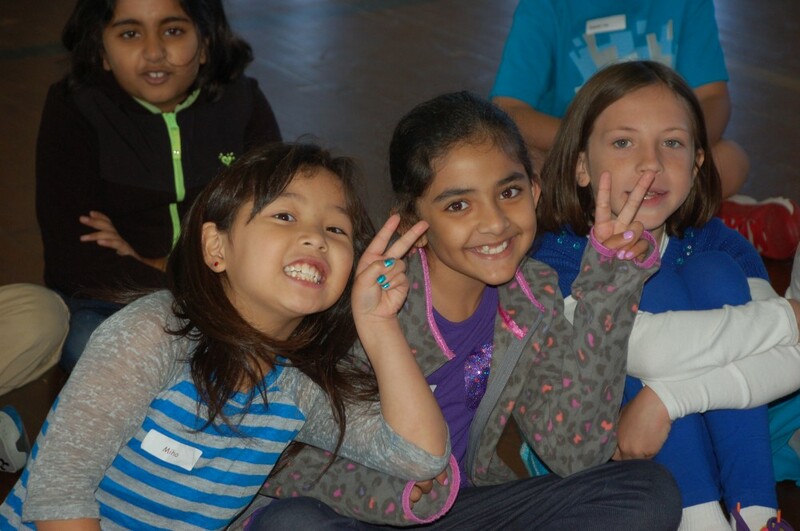 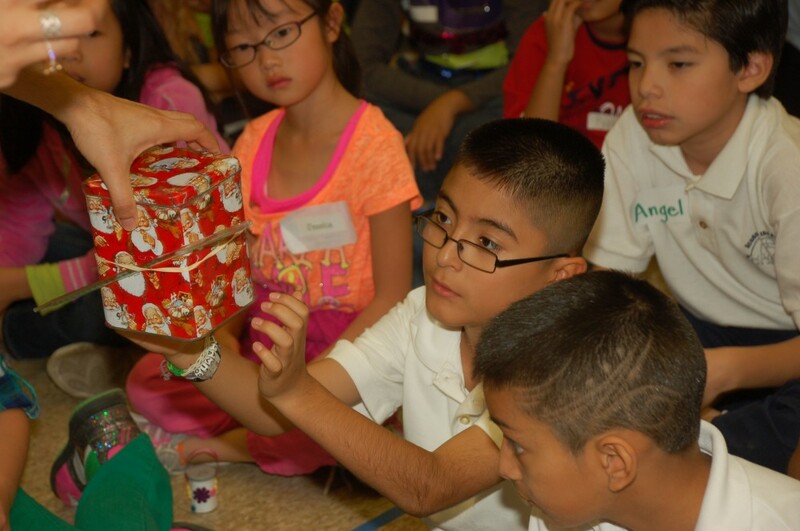 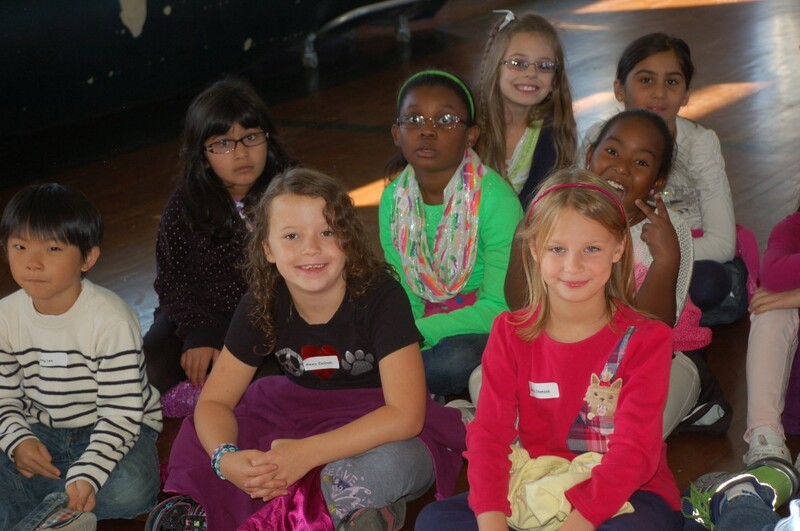 A Detroit-based non-profit charitable organization, Bridgepointe brings together school children from cities and suburbs, bridging different cultures and backgrounds through shared experiences, and enhancing understanding among partnering schools and communities. 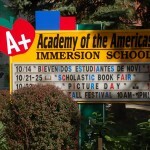 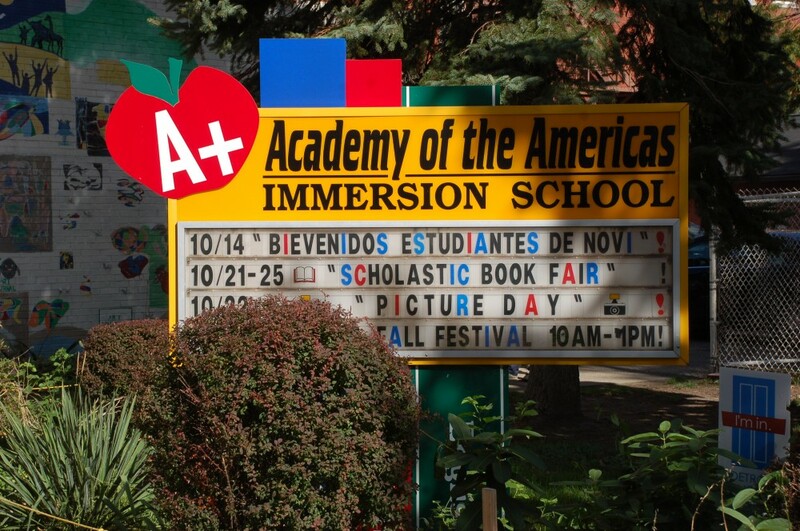 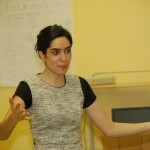 The event was held at the Academy of the Americas. 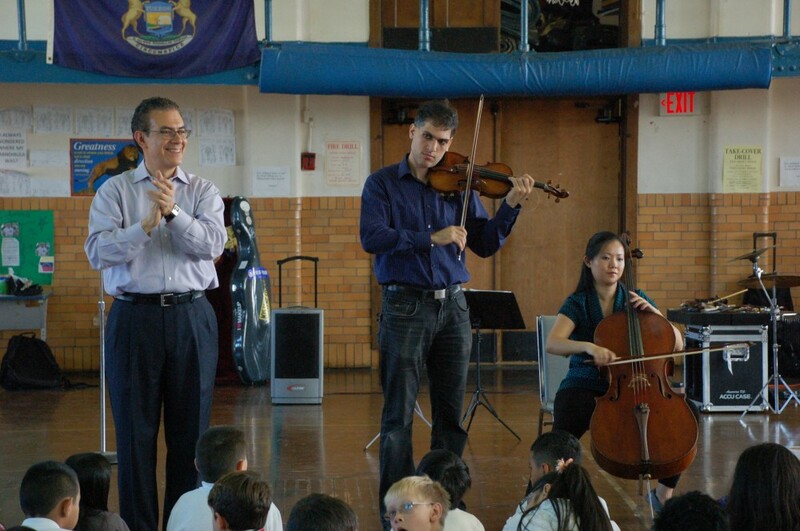 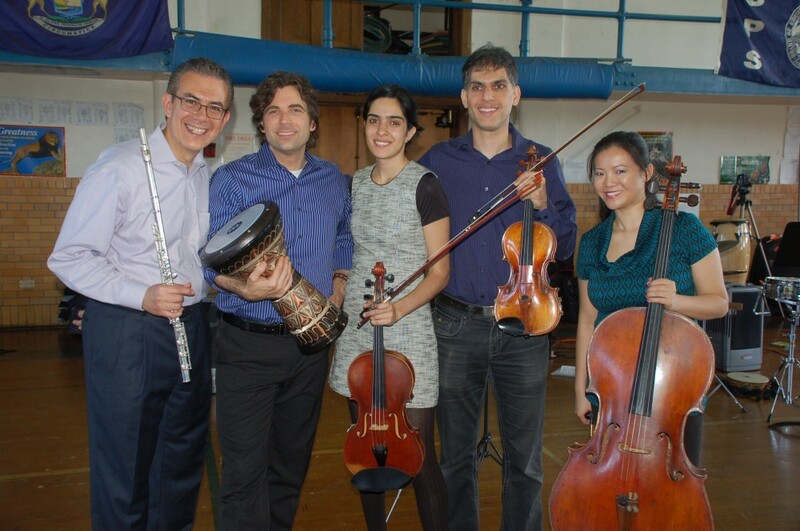 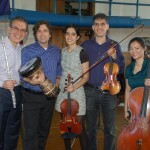 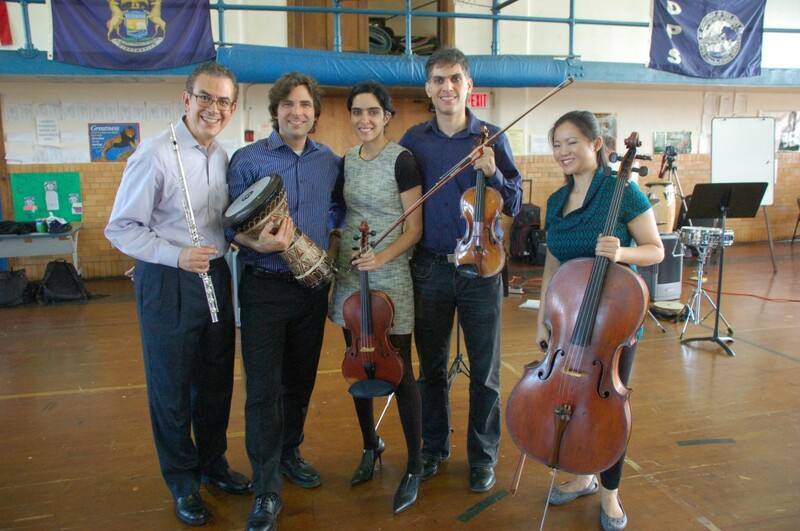 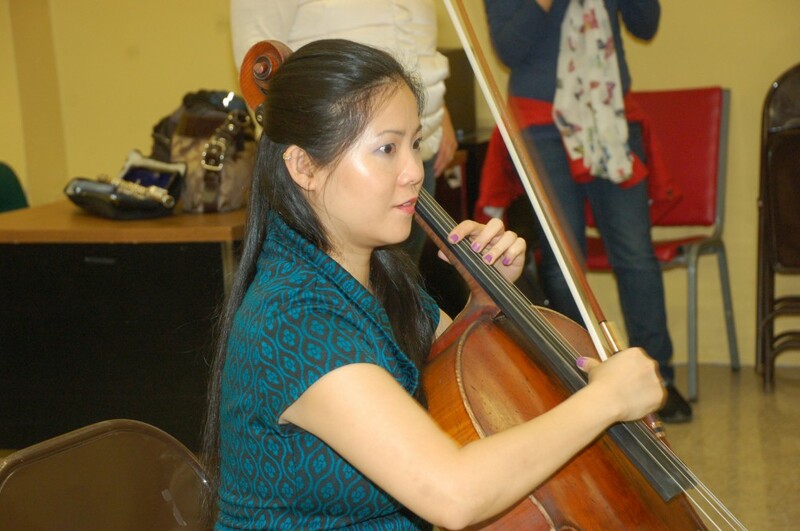 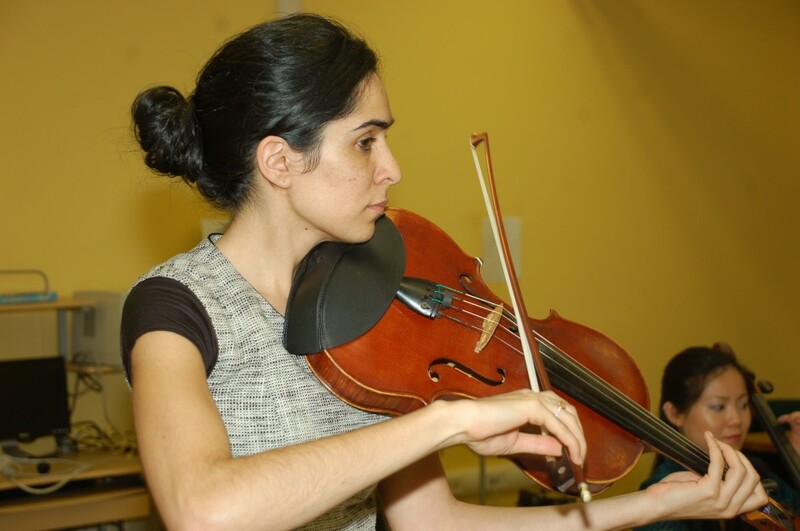 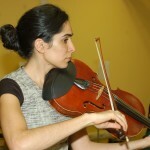 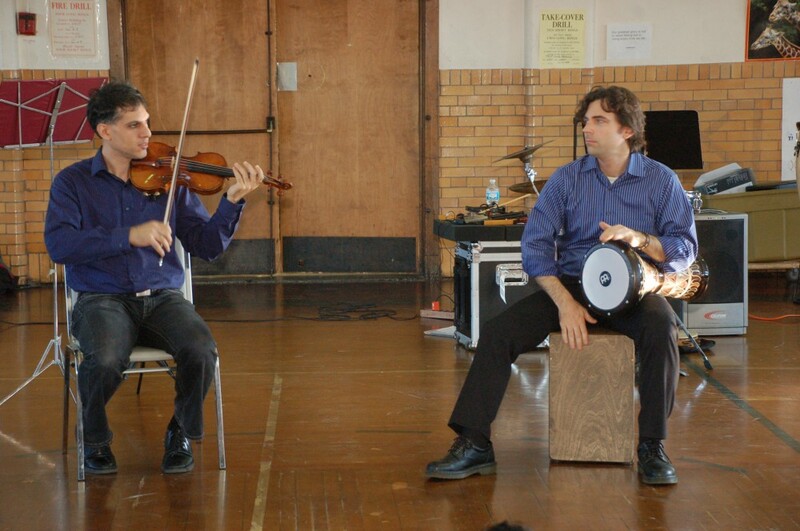 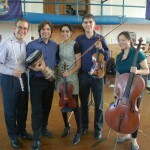 This session was part of the Chamber Music Society of Detroit’s 2013-14 Discovery Series. 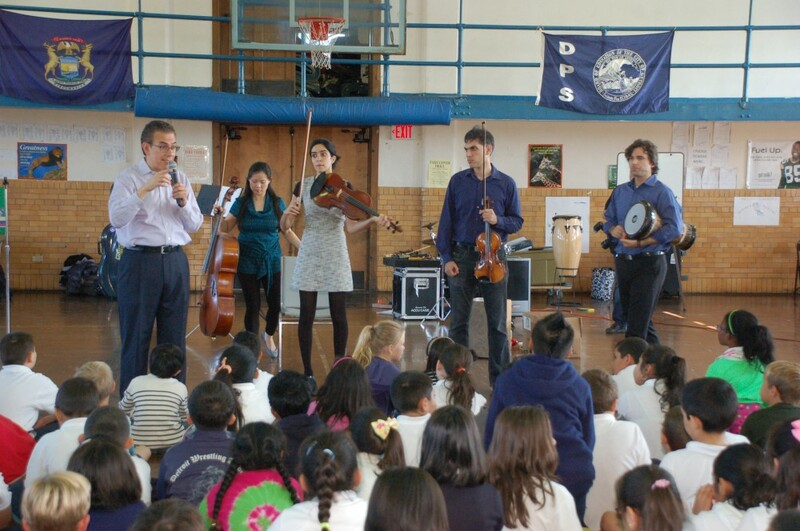 Following these live sessions, students from participating schools will remain in touch during the school year through Skype and email.